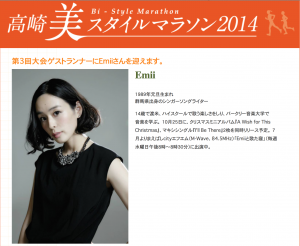 Emii was chosen for a guest runner in Takasaki Bi Style Marathon!!! She will be performing for a short time before the marathon as well! 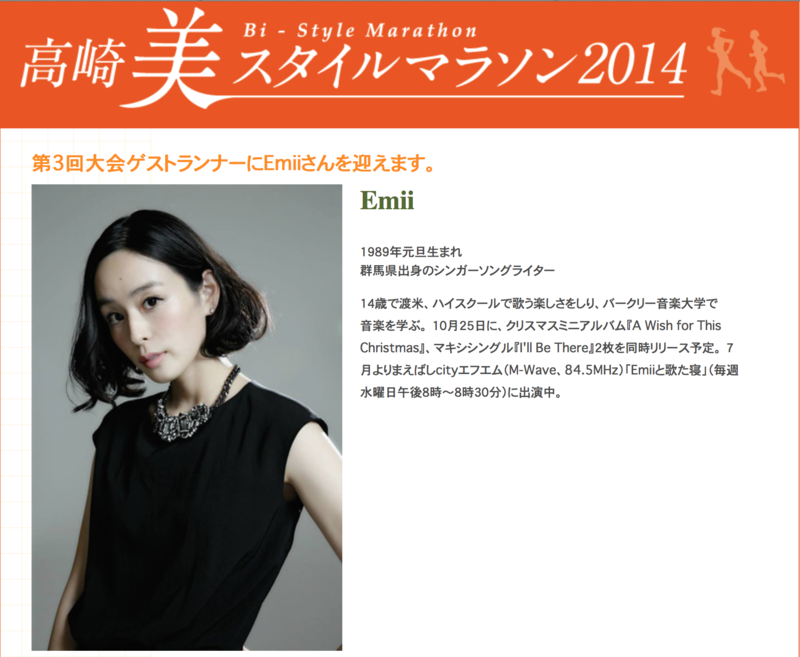 Takasaki Bi Style marathon is an cervical cancer awareness event. Why don’t you ladies join Emii? And of course, all the runners need lots of support from you! More details of AEON Takasaki performance! 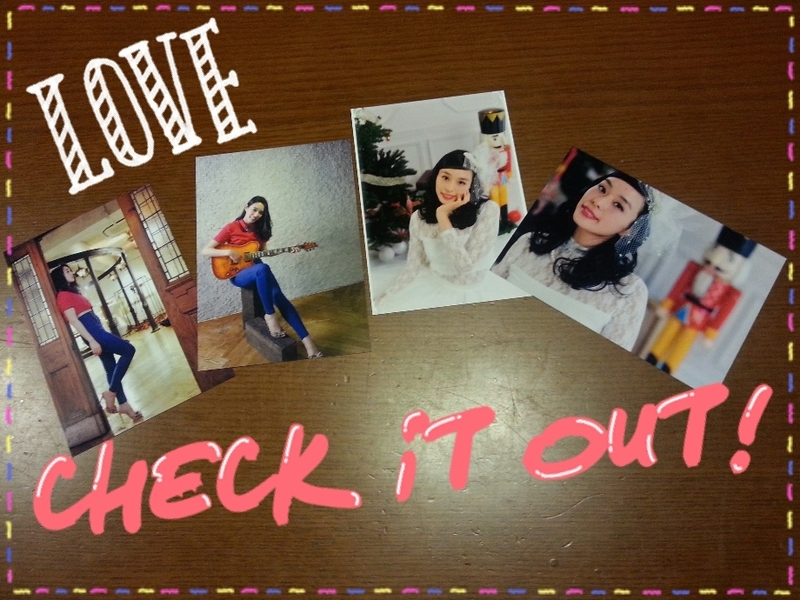 “JUKE BOX”, original goods, concert tickets will be available for purchase. “A Wish for This Christmas” and “I’ll Be There” will be available for pre-order. If you pre-order one of those CDs, you will get an unreleased photo from the cover photo shoot! Emii will be doing an in store performance! CDs, goods, and tickets will be available at the performance. Please come and support Emii! Emii will be in a Radio Takasaki “Peaceful Days” as a guest on 8/1 at 11am! This will be live broadcasting from the satellite studio at Takasaki station! Please come see me when you get a chance. You can listen online from this website.